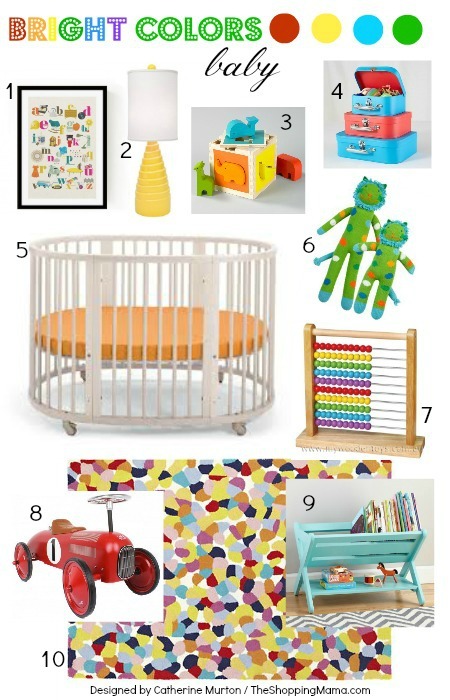 I am having way too much fun working with The Shopping Mama and finding fun, funky, modern, and precious pieces that would work for a nursery. I recently created a Colorful Nursery Board and a super sweet Aqua and Elephant Nursery Board. I discovered that I loved this sweet modern color combo and even though it could be gender neutral I feel a pull towards boy on this one. To see more and shop the goodies in this board click here. I love those elephant touches and I already bought one of these lovely items! These fun colors would really pop for a funky baby nursery! I really love that multi-colored rug and of course that modern crib is so hip. For more info about this nursery board click here. Babies will love to grow and play in a room this fun! 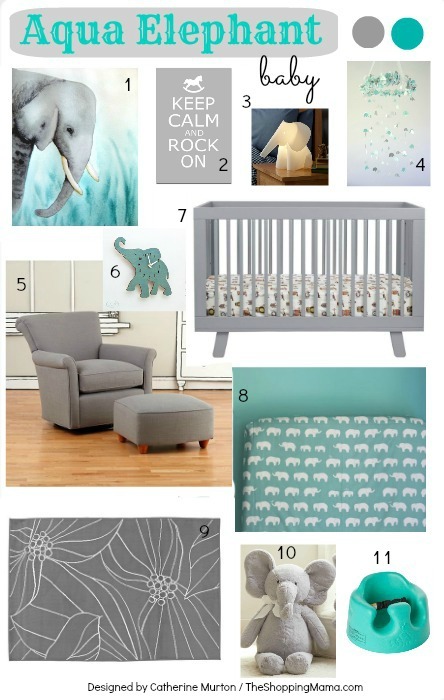 And in case you missed it I also share my other nursery inspiration boards on the blog a few weeks ago. Be sure to check them out too.